48 hours isn’t a heck of a long time. It’s five and a half seasons of Friends, two and a half viewings of the Harry Potter films, or a weekend. Yet for some talented folks, 48 hours is enough time to make an entire film from scratch. That’s right, the 48 Hour Film Project has made its return to Glasgow for the 7th year in a row. In this project, teams are given a short list of required elements – in this case the name Leith Abernathy, a prop photo album, and the line “It’s good for you” – and 48 hours in which to make a film. They also draw two genres from which they can choose, but the rest is left up to them. The concept of the films, writing, filming, sound production and editing all have to be completed in that two-day window. The quality and creativity of the short films shown in the screenings was incredible, with fully constructed narratives, gory effects and atmospheric musical scores. From the oddly compelling tale of a man who can communicate with trousers via a psychological horror with a surprise ending, to the eye-wateringly hysterical story of a roller disco Viking band, the collection is hugely diverse and unpredictable. Being able to squeeze so much wit and ingenuity into a 4-to-7-minute-long film would always be impressive, but when you consider that the writing and acting process were shot out in less than two days it becomes remarkable. The amount of work that has clearly been put into the creation of these shorts almost makes my head hurt. The level of experience obviously varied, but that’s the point. This challenge is only for volunteers, and what better way to improve film making skills than to dive in the deep end? In any case, viewers can’t help but admire the dedication shown by all teams who crafted an entire short film over the length of a weekend. More than anything, this project is a ton of fun, seemingly for the teams and also for the audience watching. 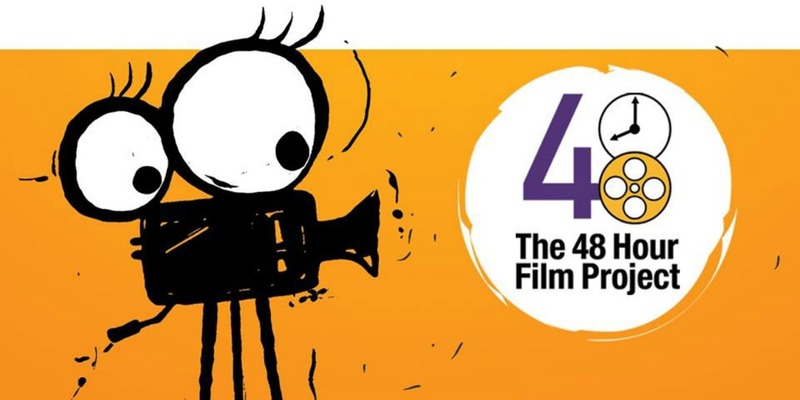 If any part of the film-making process is your cup of tea – whether that’s in front of or behind the camera, or even just in a comfy seat watching the end result – the 48 Hour Film Project is not to be missed. More information on the Glasgow 48 Hour Film Project can be found here.